This entry was posted in Uncategorized and tagged construction, homes, teamwork on July 23, 2014 by pandersen. The weekend is here, and hope you can take the time to enjoy the region’s events. Levitt-Fuirst insures clients from Greenwich to Chappaqua, from Manhattan to Westport. We love the region as much as anyone, and we hope you get out and enjoy the spoils our beautiful area offers. Like what, you ask? In Peekskill tonight, at 8:00pm, Eaglemania invades. Eaglemania, known as “The World’s Greatest Eagles Tribute Band” will be performing all of the hits of the Eagles. Head out on this beautiful night if you can!! Or this from GreenwichTime.com? Next Tuesday evening, the Bruce Museum in Greenwich has a lecture on extreme environments! Learn about biodiversity in the deep blue sea. For more events in and around Armonk, click here to go to the Armonk Voice website. For ideas in and around Greenwich, check out the events listed on the GreenwichTime.com website! This entry was posted in Uncategorized on July 18, 2014 by pandersen. 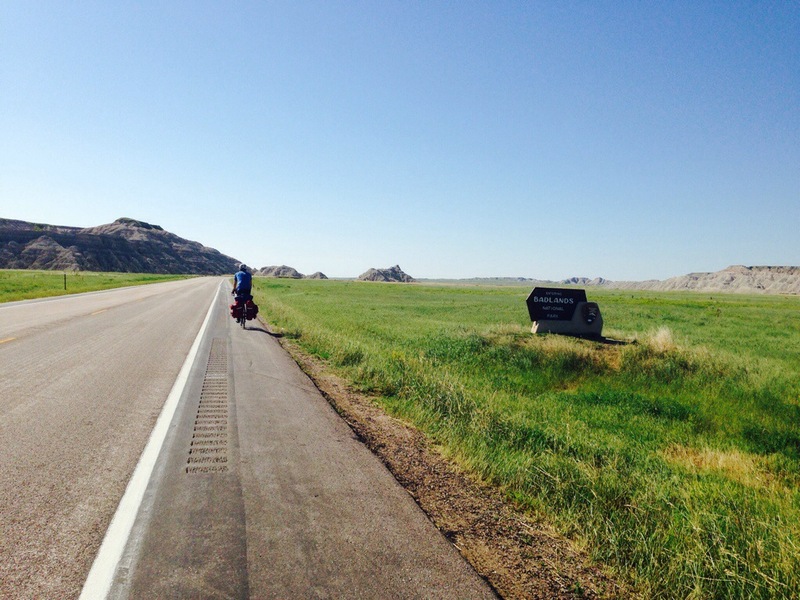 Bicycle Across The Country: Brilliance or Insanity? I have always been at ease on 2 wheels, from the day I learned to ride with my 4 older brothers’ assistance (pushed down the grass hill on our front lawn in Greenwich was how we Andersens learned to ride!). In college, I bought my first mountain bike, and rode that to school, and for fun. I moved back up to the northeast, and rode mountain bikes with my brothers on weekends in the woods of Connecticut. They bought road bikes, I bought a road bike – and started racing in New York City. I eventually became a Cat 3 racer, mid-level good, and even won some races in the city… I brought my bike on my honeymoon in Spain! So, bikes? I get bikes, I love them, I have 3 of them that I neglect more than I should these days. I never much wanted to ride across the country, though. It is far, it is hard, it is dangerous, it has so much that is out of your control… I think this is why I am fascinated with Ken’s adventure. Taking time from Levitt-Fuirst, letting his faithful employees take care of his clients (unfathomable! ), connecting with people from all walks of life, seeing the country in a way that few do. There is a bit of a siren’s call to my inner cyclist while reading his blog – an appreciation of all he is doing. I emailed a question to Ken last week, and he called me right back. He was on his rest day, and was on his way to Mount Rushmore. After discussing business, I told him that the employees were wondering if this ride might change him in some way; alter him as a boss, a manager, a person. He said he honestly didn’t know what he would be like when he returned, how he would be changed (but there was a sense that he would be changed in some real way). It seemed like a sign that sometimes a big, crazy, well planned but so much out of control adventure might just be the right thing, a defining thing, in one’s life. And Ken’s first words on that call? “You HAVE to do this ride someday”. Maybe that adventure will call me one day, as it did Ken. Maybe it will be some other trip, or quest, or goal that needs attaining. Perhaps we should all find that thing in our lives, something that pushes us beyond our boundaries of comfort and safety. Perhaps our definition of ourselves can be updated to include adventurer, risk taker, bucket lister. I hope so for myself. week (give or take) adventure of a lifetime. He presented the employees with his plan last year in one of our monthly company meetings, when he told us that our “gift” in the coming year was that he planned to ride his bicycle cross country and be gone for two months. Once the cheering stopped, we all sort of forgot about it and went on about our business. And then he started training. Seriously training. As in “I biked from my house in Chappaqua down to the Jersey Shore”. I’m sorry, what?? My version of exercise is to walk to the bakery to get my pastry, so to me this was insanity. He started putting all in order in the office…making sure that his accounts were comfortable and taken care of, everyone was up to date on everything, down to the last minute detail. I still couldn’t see how this was going to happen – Ken is a bit of a “controller”. One of our favorite office games? Wait until Ken walks a few steps out of his office and then ring his phone and watch him go flying back in to retrieve the call, and hang up. There are no “missed work calls” in Ken’s world. We have worked together for 22 years. I know his personality, we have an odd, quirky friendship – and I still could not see this happening. And then it did – the day was here, he was leaving. He started his trip in Seattle, WA. It is him and his bike, a few provisions, a tent, and a lot of determination. He is staying sometimes with people that open their homes to people biking this route, other times he camps where he can find a spot. He is traveling alone. This is the trip that I would plan for myself if I wanted to poke every fear, phobia and megrim that I have. He is blogging the whole time, posting pictures – some of the quirky, small-town oddities that strike his funny bone, some of the big, touristy spots, some of the miles and miles of barrenness that he has to bike through to get to the next small town. And some are of Ken, smiling, dirty, getting thinner by the day, and happier than I have ever seen his face. I am alternately awed and horrified. Some of his blogs begin with “So, I biked 73 miles to Bump In The Road, Montana and pitched my tent on the side of the road. My front tire is low (Ken’s front tire is always low by the way – it gives me palpitations), I stopped at the local bait/gun/huckleberry pancake store and had some breakfast….” . He talks to the locals, comes away with goofy stories and local legends and directions that may or may not be accurate. He is doing something that most people only dream about (not me….really….not me). He took “that thing” that everyone has that they want to do, talk about doing, dream of doing (Me? I want to write a really good novel, adopt a child that needs a good home, run a farm for abused dogs and children to help them heal each other), and he is DOING it. And it’s hard and dirty work. And, being that my ultimate goal and pleasure in life is to tell Ken what a dork he is, I won’t tell him that I think this is a really cool thing. But I think it’s a really cool thing. And here is our acclaimed boss Ken Fuirst, riding away into the openness. This entry was posted in Uncategorized and tagged bicycle, brilliance, cross-country, insanity on July 16, 2014 by pandersen.